Today, I will be introducing my ENG 315 pre-service teachers to the idea of developing their “digital teaching persona” and thinking critically about why and how to use technology in their personal technology learning and to become better teachers of writing. 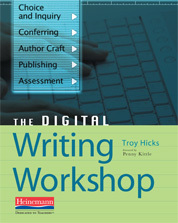 Each semester, I face the act of balancing the introduction of a number of digital writing tools — Google accounts for Gmail and Google Reader, Edublogs, Wikispaces, podcasts, digital stories — and the content of our course which includes principles of the writing workshop, reflecting on a midtier teaching experience, and examining our work as writers. And, each semester, I find that students initially (and sometimes in their final reflections on the course) say that the first weeks of class are overwhelming in terms of the new technologies. 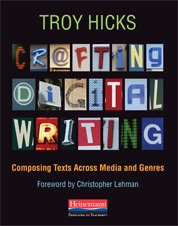 Understanding digital writing tools can be intimidating at first, yet provide opportunities for writers to share their work and read the work of others. This kind of publication ritual is an important component of the writing workshop, and digital writing tools enables students to easily distribute their writing to a wider audience. 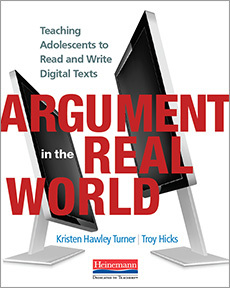 Understanding and applying technologies to the teaching of writing — as well as understanding concepts associated with them such as copyright and fair use — has become the professionally responsible way to teach writing. 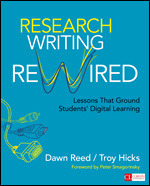 Professional organizations such as NCTE, NWP, IRA, ISTE, the Center for Media Literacy and others have moved quickly and clearly in the past few years to show that integrating technology across content areas, including the teaching of writing, is critical for creating students who are literate in a variety of ways. Creating a digital teaching persona — via one’s own blog, wiki, RSS reading, email address, digital portfolio and through other online tools — has become essential for teachers who are increasingly being asked to use these tools as they search for jobs and establish classrooms that use technology in critical and creative ways. By learning these tools in a pre-service methods course, and understanding the ways in which they can be applied as a part of one’s overall approach to teaching, pre-service teachers can enter the profession well-prepared to represent their work to a variety of audiences including students, parents, administrators, and other stakeholders. 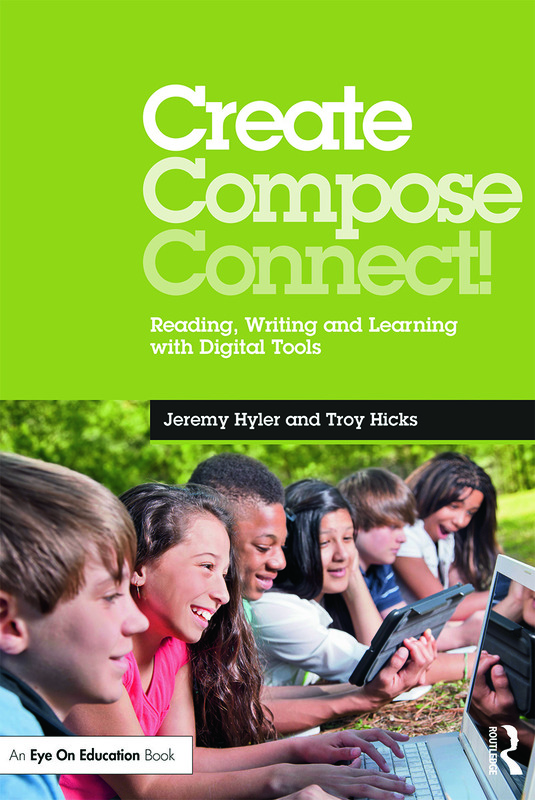 My hope is that learning how to use digital writing tools will help my pre-service teachers accomplish these three interrelated goals — providing opportunities for student writers, being a better teacher of writing, and creating a classroom environment that fosters critical and creative writing. While it is difficult to jump into new technology learning, and I acknowledge that the learning curve can sometimes be very high for some of these tools, my goal this semester is to help students in their learning by offering more time during writing workshop where they can collaborate and I can confer with them. If you have other ideas about why personal technology learning and the teaching of writing are important, I welcome additional ideas to add to this list so my pre-service teachers can gain more insights into why and how teachers should learn about these tools and ideas. We have struggled with our older students (11-12 grader) having some of the same issues/concerns as your pre-service teachers. 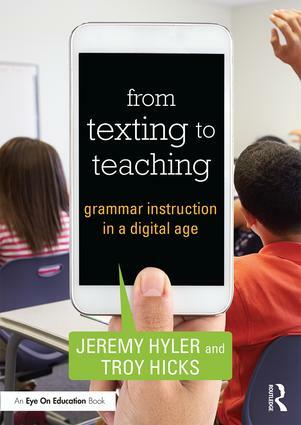 However, teaching ninth grade English this year has been refreshing as I find the younger students are much more likely to understand the importance of developing their writing using digital tools and to jump in with both feet. My students are using blogs and wikis with ease as they learn to create, edit, and revise their work. They are able to share their work with other students, get feedback, and collaborate. Another reason for pre-service teachers to “get it” is to be ready for their students who will want to use the tools! As a teacher that has participated in technology professional development, I understand the difficulty anyone would have presenting to teachers! In any room you have the most technologically literate and illiterate. I have discovered that the best way to deal with this issue is to leave time for people to collaborate and help each other with whatever digital tool they are using. I think it is important for teachers to realize that they are not learning to use any kind of technology tool for them – they are learning for their students. For most teachers it is just one more thing, but for our students it is how they will communicate. If teachers realize that they are preparing for their students not preparing themselves, they are usually more willing to try new things. Being a student in the 1980’s meant that we used a computer once in awhile, but mostly an old-fashioned typewriter! I’m feeling apprehensive, knowing that this is an expectation for this class. At the same time, however, I realize this application will benefit, not only me, but my future students. I appreciate the fact that Prof. Hicks will integrate collaboration time, as I am certain I will need to collaborate!